Enjoy the trust and convenience of Zeel Massage On Demand, in Coral Gables, FL. Getting a high-quality massage in your town has never been easier. Book your massage today! A massage therapist will come to your Coral Gables home, hotel, or office in as little as an hour, or schedule in advance. Relax and recuperate with a spa-quality massage in the comfort of your Coral Gables home. There are over 9,000 massage therapists in the Zeel network nationwide. Here are a few that are available for in-home massages in Coral Gables. 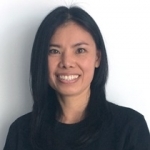 Atchara began practicing massage therapy in Thailand before moving to the US. Having attended the reputable Educating Hands School of Massage, she now works at Beach Beauty Spa in Miami Beach. Atchara specializes in Swedish, deep tissue, Thai and sports massage. 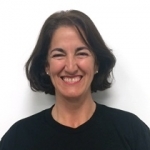 Licensed massage therapist Mayte has been practicing massage therapy since 2010. Trained at the prestigious Florida College of Natural Health, Mayte has worked at a wide range of high-end luxury hotels, both in South Florida and Hawaii, inculding The Spa at Kona Beach, The Ritz-Carlton in Key Biscayne, and The spa at the Doral Resort and Golf Club. Mayte believes in providing relaxation by customizing her massage to clients' needs. She specializes in Swedish, deep tissue, and sports massage. Robert has been practicing massage therapy since 1993, after training at the Educating Hands School of Massage. With over twenty years of experience, Robert has worked with both private clients and in spas such as South Beach Massage and Bodywork. He is experienced in a wide range of modalities, including deep tissue, Swedish, sports, prenatal, myofascial, shiatsu and Thai massage, as well as pressure point and trigger point therapy, acupressure, and reflexology. Just southwest of Downtown Miami, Zeel offers on-demand massage in Coral Gables where clients can order with just a few taps on their smartphones. Residents, tourists, and University of Miami students alike can all appreciate the convenient luxury of Zeel Massage in a pedestrian-friendly city conveniently located near the Miami International Airport, Miami Beach, and the Port of Miami. How about an in-hotel massage at the Miami Biltmore hotel after a day at the Fairfield Tropical Botanical Gardens, enjoying the Venetian Pool, or shopping and dining along the Miracle Mile? Zeel Massage Therapists add even more beauty to “The City Beautiful”. Book with Zeel today and experience high-quality massage delivery at home, at work, or in the comfort of your hotel room. 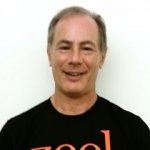 Zeel provides the best massages in Coral Gables. Whether you prefer Swedish massages, deep tissue massages, sports massages, couples massages, or prenatal massages, Zeel Massage Therapists in Coral Gables are here to provide relief. Book anytime from 8am to 10:30pm, 7 days a week, even on holidays. We are always on call, and we are here to make your life easy. You can even schedule up to 30 days in advance. Zeel Massage Therapists come to you, providing in-home, at work, and in-hotel massage, delivering comfort and quality when you need it most. Look no further for the “best massage near me” or “best massage Coral Gables”—we have you covered. Plus, it’s simple. Book a Zeel on-demand mobile massage in Coral Gables today. Zeel provides Swedish massage, deep tissue massage, prenatal massage, sports massage, couples massage, and chair massage in Coral Gables.